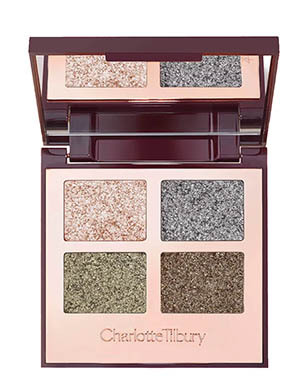 It’s that sparkly time of year again, so we’ve put together our top beauty set picks. Perfect for that extra special lady in your life, whether this is your best friend, sister or wife; look no further for the best Christmas beauty gifts. Do a bit of extra special early gifting with this breath-taking L’Occitane Luxury Christmas Advent Calendar. Filled with 24 indulgent L’Occitane treats including Shea Shower Oil, Precious Cream and Divine Youth Oil, you will make her month. Beautifully adorned with illustrations from famous fashion house CASTELBAJAC Paris. 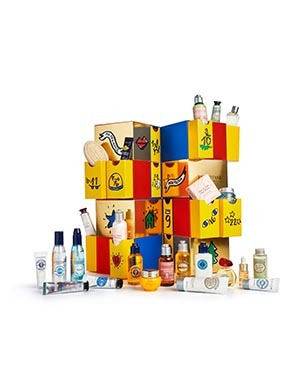 Also explore other L’Occitane Christmas collection goodies including stocking fillers and beautiful box sets. Treat her tresses, and present the ultimate label.m haircare set, their Diamond Dust Trio. 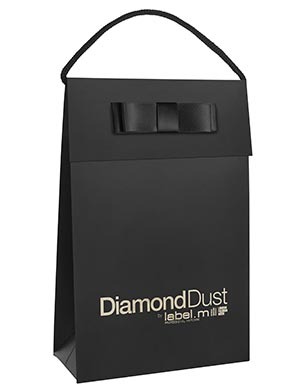 Sleek and stylish, unwrap Diamond Dust Shampoo, Diamond Dust Conditioner and Diamond Dust Leave-In Conditioner. Luxe and indulgent, this is one super special present. The bottles also look beautiful on any shelf or dressing table. 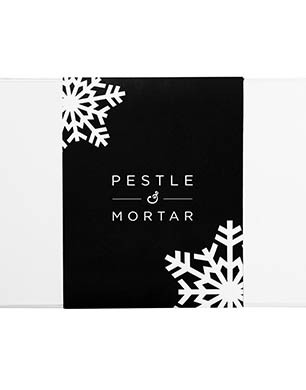 Give the gift of gorgeous skin, with this Pestle & Mortar All I Want For Christmas set. Packaged in a chic monochrome box, inside you will find: Balance Facial Spritz, Recover Eye Cream, Pure Hyaluronic Serum and Hydrate Lightweight Moisturiser. The Balance Facial Spritz in particular has become a firm SN staple, with Pestle & Mortar perfectly achieving luxurious, nourishing skin products. Buy either as a standalone gift or present the entire collection, which covers Instant Light Lip Comfort Oil in Red Berry Glam, Highlighter Palette and the piece de resistance, Golden Top Coat Mascara. Ideal for makeup lovers, ensure she is treated with the latest Clarins makeup looks. Your girl will feel like the belle of the ball, showcasing golden tipped lashes in time for New Year’s Eve. Completely spoilt for choice, explore the entire Charlotte Tilbury Cosmic Christmas Gift Shop covering stunning picks including: Bar of Gold Palette (£49), Gilded Goddess Set (£84) and Mini Hollywood Liquid Lipstick Charms (£20). For that perfect Christmas party look, we love their Luxury Palette of Pops. Available in Starlight and Supersonic Girl, she can shimmer her way through the festive season with these sparkly limited-edition shadows. 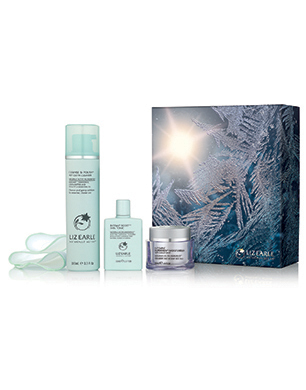 Shop cult skincare favourite Liz Earle, snapping up this Everyday Radiant Trio set. The beautifully adorned box includes: Cleanse & Polish Hot Cloth Cleanser, Instant Boost Skin Tonic, Superskin Moisturiser with Natural Neroli and 2 Pure Cotton Cloths. Let her unwrap this elegant gift, offering the chance for some skin soothing over that fraught festive time and beyond. Hang their gorgeous gift on the tree, with beautiful limited-edition Christmas Floral St Eau de Parfum Baubles. Available in an array of different scent options, these include: Wonderland Peony, Wild Vanilla Orchid and London Poppy. 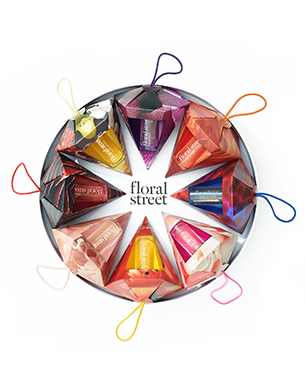 Floral St create stunning fragrances, and this is the perfect excuse to explore their selection. 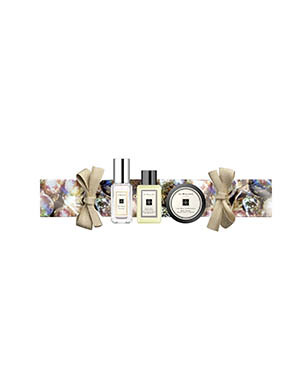 Jo Malone London always thrill us with their seasonal offerings, and this year is no different. 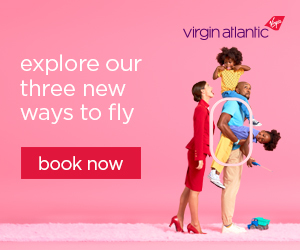 Discover their entire collection, ideal for treating special loved ones. Pop this Christmas Cracker by their table mat, and earn extra Santa points. Your lucky recipient will receive a mini Red Roses Cologne, English Oak & Redcurrant Hand & Body Wash and Lime Basil & Mandarin Body Crème. A trio of our favourite JML scents in fact. Hands down the best self-tanning product we’ve found is Vita Liberata Body Blur HD Skin Finish. It is a magic cream which ensures an instant tanned and toned effect, leaving skin smooth and seamless. 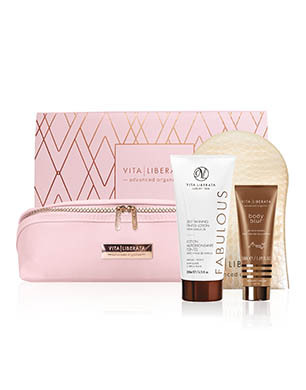 Ideal for festive parties or a dreary day pick-me-up, this Vita Liberata set also includes Fabulous Self-Tanning Tinted Lotion and Super Soft Gold Tanning Mitt, all packaged in a Luxury Makeup Bag. thisworks are famous for their incredible Deep Sleep Pillow Spray, and busy Christmas is the best time to try it. Ideal for a non-stop friend or family member, offer them the chance to indulge in some TLC with this Night Time Bliss box set. Also featuring a stunning cosmic-themed Eye Mask and Deep Sleep Bath Soak, ensure a peaceful present escape. 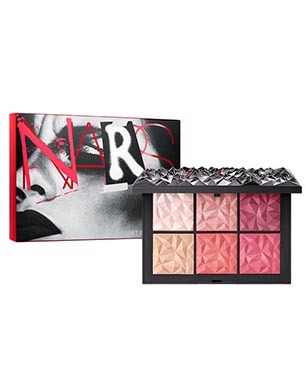 Part of their super stylish limited-edition Christmas collection, this Hot Tryst Cheek Palette from NARS is the ideal stocking filler. 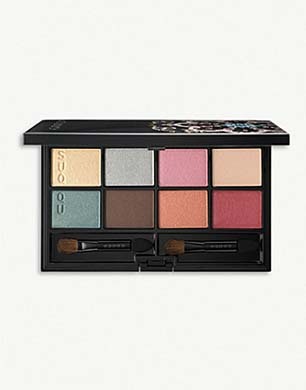 Featuring shades such as Swindle, Friction and Untamed, the studded box is an absolute beauty. Further SN favourites within the selection include Spiked Audacious Lipstick, Climax Mascara and High Voltage Highlighting Palette. Packaged in a chic statement Christmas Eve Lom gift box, the Rescue Ritual set includes: 100ml Original Cleanser, 100ml Rescue Mask and a Muslin Cloth. Indulgent and stylish, Eve Lom is an amazing and intuitive skincare brand. Gift your gorgeous girl some skin TLC, and introduce them to these cult beauty buys. 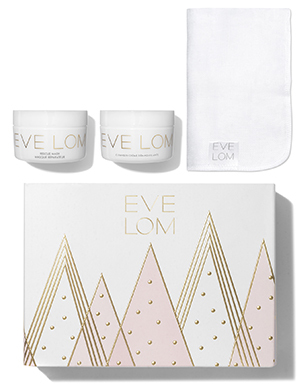 Other limited-edition Eve Lom Christmas gifts we buy cover the On The Go Cleanse Ornament, Simply Radiant Gift Set and Iconic Cleanse Ornament. The REN Moroccan Rose Otto bodycare range is one of our indulgent favourites, so why not share this find with a friend? This set features Moroccan Rose Body Wash, Moroccan Rose Body Scrub and Moroccan Rose Body Oil. 100% natural rose oil rejuvenates, lifts and soothes. A completely deluxe treat, the box is also hand-illustrated by kikki.K. 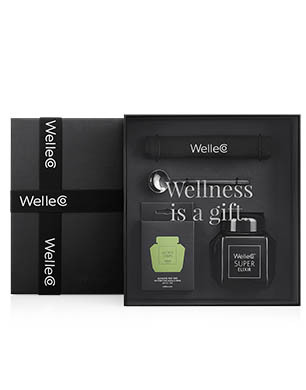 This WelleCo Super Elixir Greens Set introduces you to the importance of alkalising your body and tapping into optimum wellbeing. Here at SN, we are committed Super Elixir followers, and swear by this magical complex. Within this set you will find: Super Elixir Greens Mini Caddy, a ph tester kit, black metal scoop and WelleCo drawstring bag. A 10-day supply, it will offer the perfect post-Christmas boost. 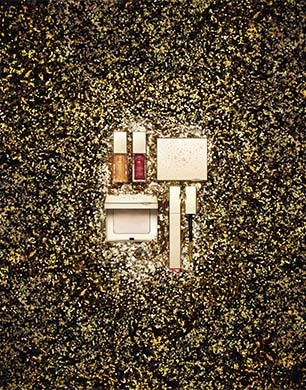 Shop sparkly makeup with the SUQQU Kaleidoscope Christmas Collection. We love their 2018 Christmas Eyeshadow Compact which covers a multitude of festive shades, ideal for perfecting your party eyes. Also included in the collection are: Moisture Rich Lipstick in Pink Sapphire and Ruby, Flawless Lip Gloss in Mandarin Garnet and Rhodolite Garnet. A luxury Japanese beauty brand, SUQQU are known in the beauty biz for combining science with a traditional holistic approach which here at SN we adore. Place some Perricone MD on the tree for them to discover on Christmas morning, with this No Makeup Lipstick Cracker. 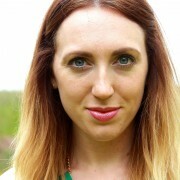 Already daily users of Perricone MD No Makeup Foundation (check it out, if you haven’t already), this No Makeup Lipstick follows suit. Natural, subtle and effective, it is an anti-ageing lip treatment which nourishes and soothes lips. Grab some mistletoe and perfect that pout. The ultimate BFF Christmas gift, make her feel truly special by sending this Parcel Beauty Babe set. 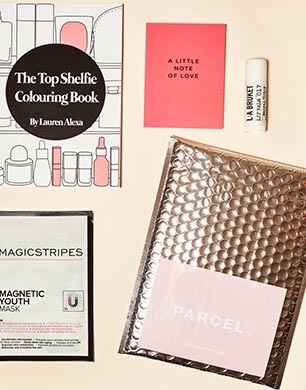 A genius idea, highlighting how special proper post is, the set includes: Magicstripes magnetic sheet mask, Top Shelfie colouring book, L:A Bruket almond lip balm and a handwritten gift card. We can see her happy smile for her, receiving this beauty in the post.